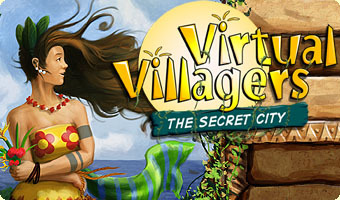 Virtual Villagers® - Official Site - by Last Day of Work. Download Free Game Trial. Somewhere in the Pacific, there was a beautiful island, called Isola, where lost villagers made their home . 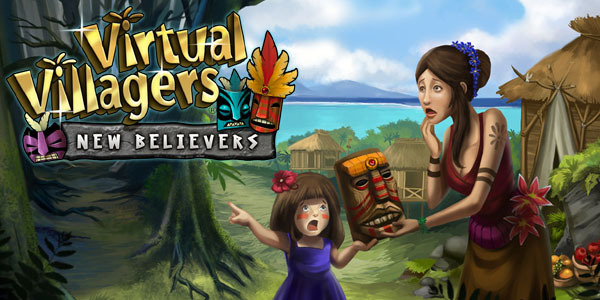 . .
CHAPTER 5 : Explore the center of Isola in this innovative new chapter in the Virtual Villagers series, while you reckon with a band of mysterious masked heathens, who do not believe in you! Guide your tribe as they attempt to convert the savages, by dismantling their precious totems and removing their scary masks! Make them believe! CHAPTER 4: The island's chief is worried that life is slowly diminishing on the island and has selected a tribe of explorers to find the source of Isola's troubles. They discover, and inevitably populate, the hidden eastern shore of the island. Uncover fantastic mysteries, unravel the story of Isola, and save the Tree of Life! CHAPTER 3: Embark on a new journey with a group of villagers in search of a new part of the island to populate. Land on the hidden shores of the northern side of Isola and explore what was once a secret city. Who lived here before? Where have they gone? What is the secret of Isola? CHAPTER 2: Follow two curious, determined villagers as they make their way into the darkest recesses of the cave that had long taunted them. Plunge with them into dazzling sunlight and mist, as a magnificent waterfall at once cuts them off from their friends and family and brings them face to face with ... children! CHAPTER 1: A few lucky survivors flee from a volcanic eruption. After days of drifting in the sea, they land onto the shore of a mysterious island. As they look around, they beheld what appeared to be an empty and isolated paradise! Maybe they would have a chance after all.. Copyright © 2002-2008, LDW Software, LLC. All rights reserved. Last Day of Work, LDW and its logos are registered trademarks of LDW Software, LLC. 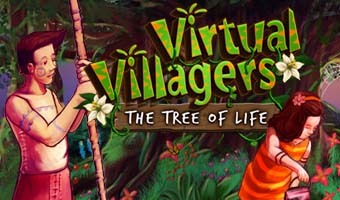 Virtual Villagers, Virtual Villagers 2, Virtual Villagers 3 are trademarks of LDW Software, LLC.